Two Illinois activists are 2018 Equality Illinois Community Pride Honorees for their strong, ongoing leadership on LGBTQ issues. 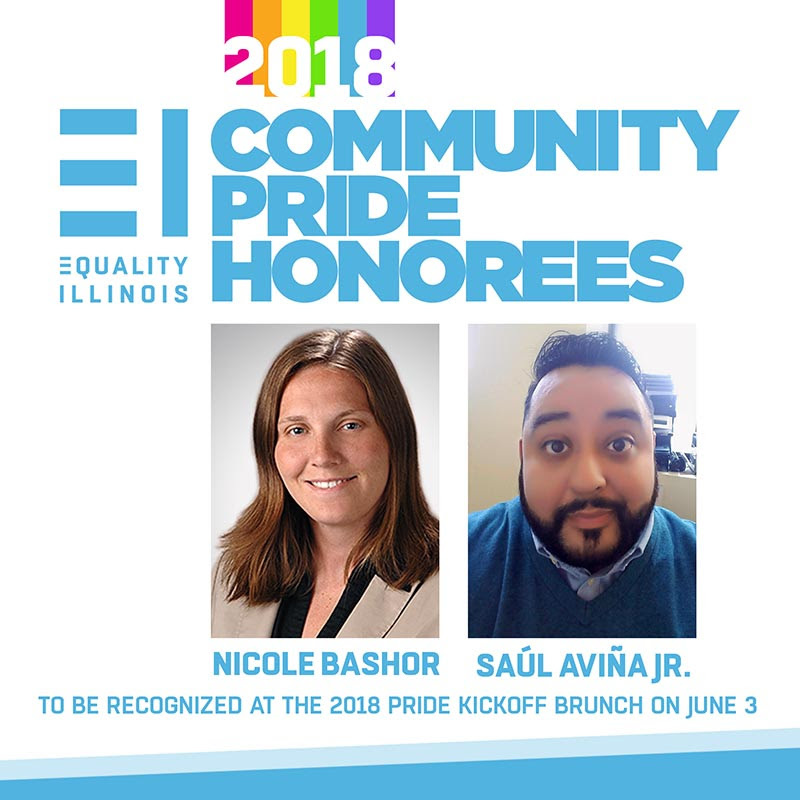 Nicole Bashor, who spearheads support for political candidates in Illinois who back pro-LGBTQ policies, and Saúl Aviña Jr., who has spent a decade working on HIV treatment and prevention programs, will be recognized at the Equality Illinois Pride Kickoff Brunch on Sunday, June 3 at Venue West, 221 N. Paulina St., Chicago. Bashor is a patent attorney and partner at Quarles & Brady LLP. She has served on the Equality Illinois PAC Board since 2011, including a period as chair from 2014 to 2016. In her tenure as PAC Board chair, the board’s endorsed candidates won over 90 percent of the time. Aviña is program manager at CALOR, which provides a variety of prevention and educational services designed primarily for people most at risk of HIV/AIDS, and also works on research initiatives advancing HIV/AIDS programs.